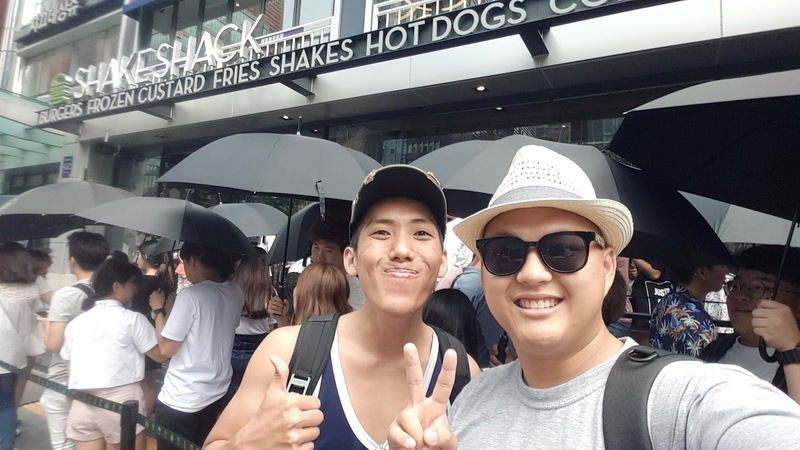 Okkkkaaaaay, so if you didn't know, Shake Shack opened here in Gangnam, Seoul. 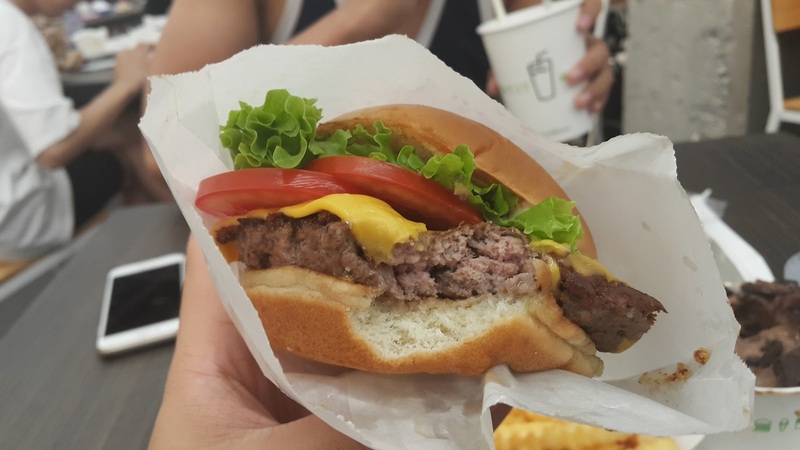 It's one of the biggest burger chain joints in America and it's famous for its Shack Burger. 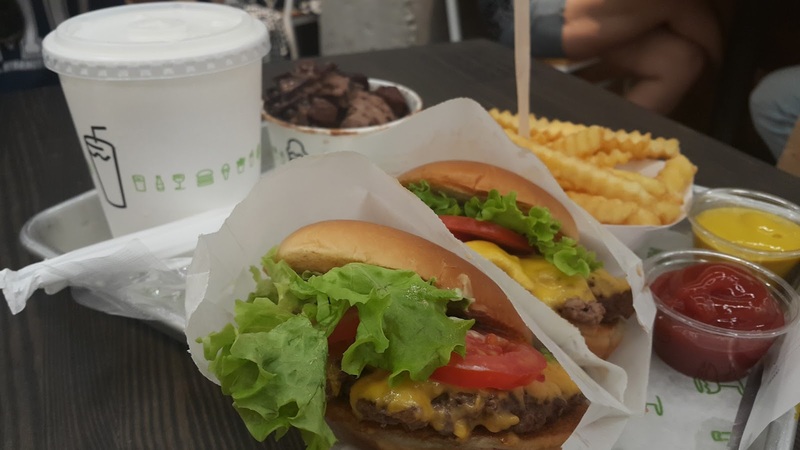 Since a friend came to visit and travel around Korea, took the time to head down with him to Shake Shack in Gangnam to try out the burger since I've never had it before in my life either. 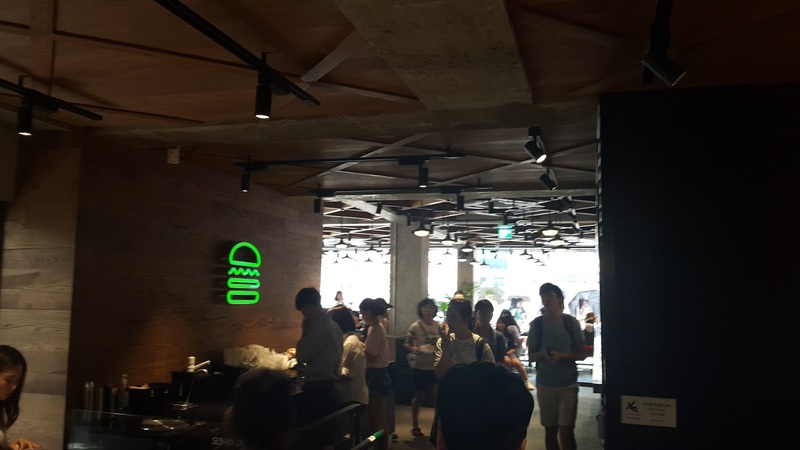 It's actually better to get off at Sinnonhyeon, get out at Exit 5 and walk all the way straight and you'll see this place after around 2 blocks of buildings down the road. 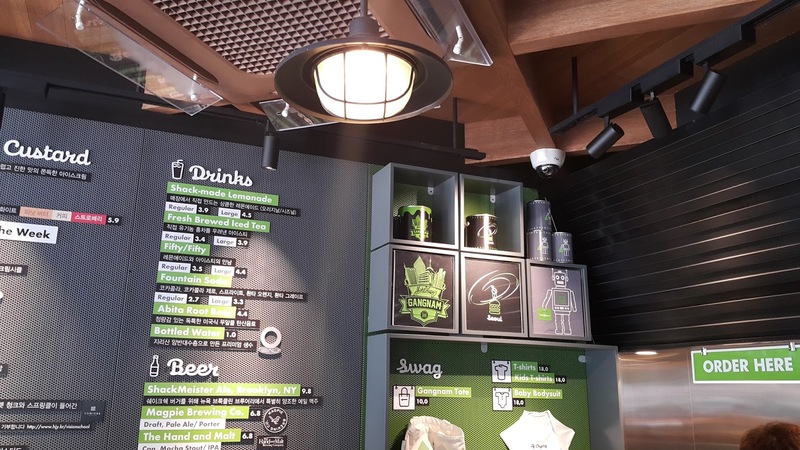 I really liked the service done here because they provided umbrellas and huge fans for the snaking queue outside to beat the heat. 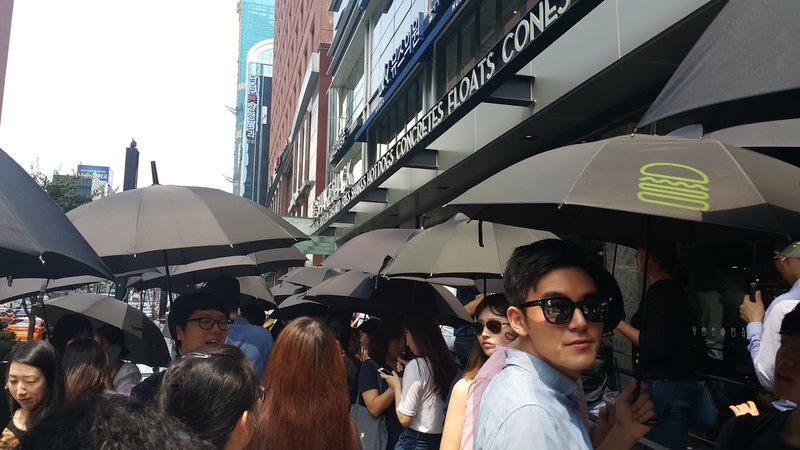 Due to the long wait and the scorching heat, I'd have thought that many people wouldn't want to wait, but I was a little shocked when I saw the queue to be honest. 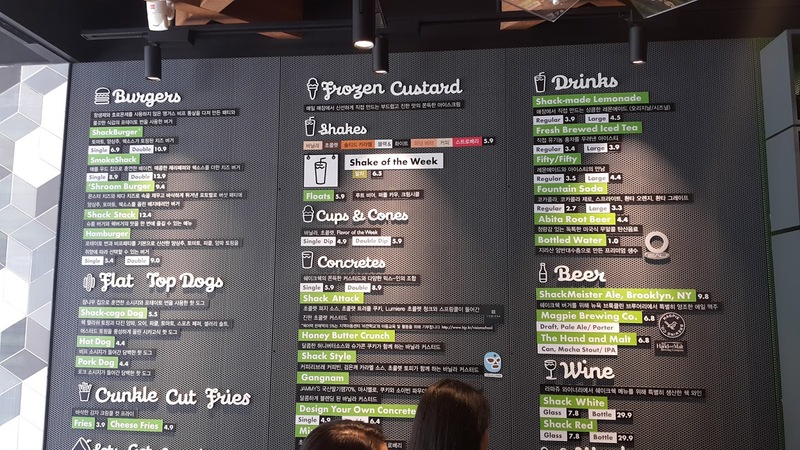 There was this huge menu on the wall when you go in and you can look at it while you're queuing up. 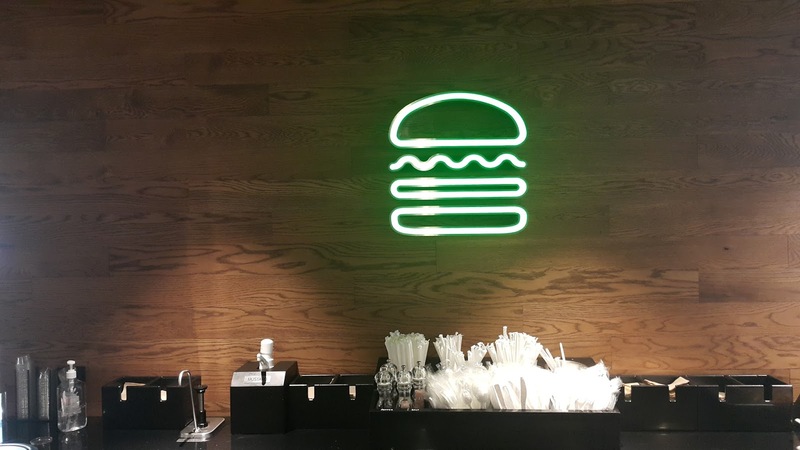 They're well known for their burgers, shakes and their fries. 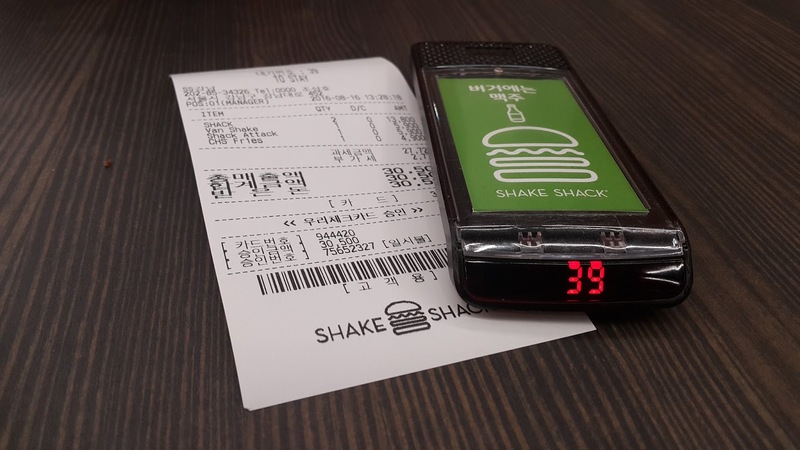 We ordered 2 burgers, a side of cheese fries, a shake, and a chocolate dessert. 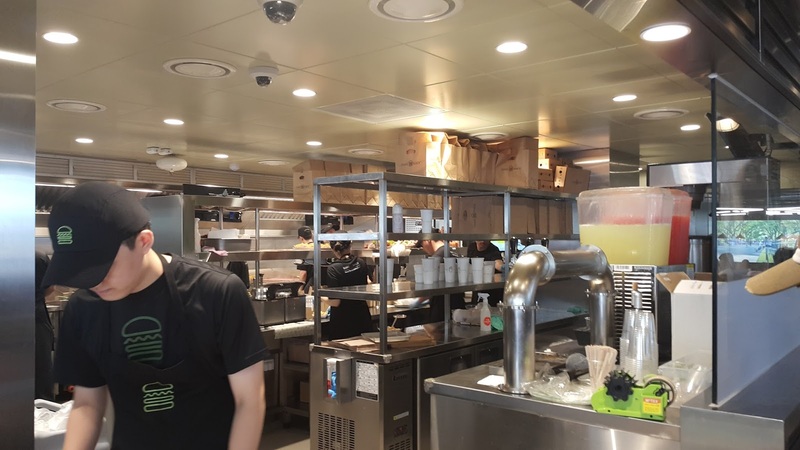 For the amount of food we ordered, we paid a whopping 35,000won. Well I guess it's worth it to actually say that I've tried it, but it's not something that I'll be scrambling back for more. The interior was really nice and it was very cosy. 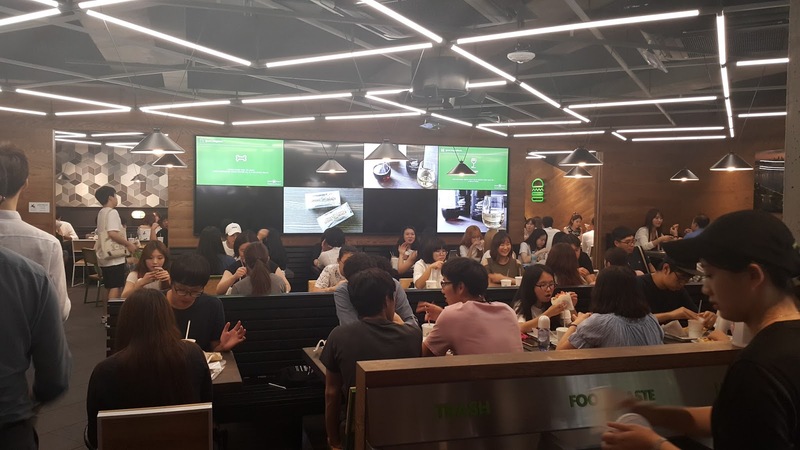 They even had television sets all around to show the way Shake Shack came up in Korea and how it was set up. 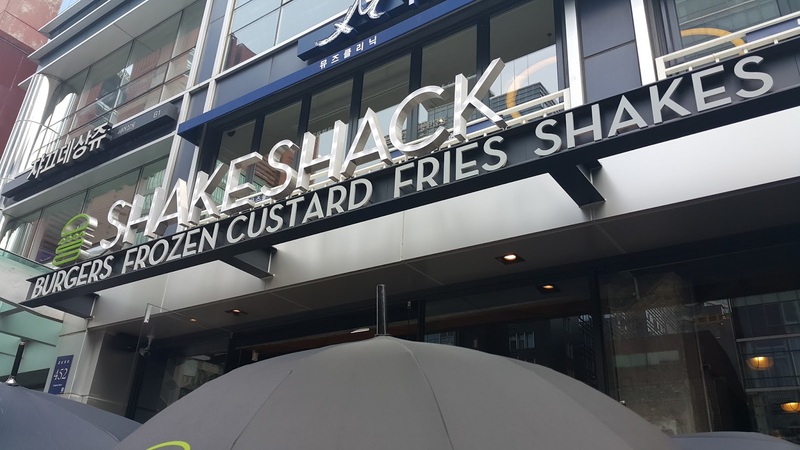 I actually heard about how it was coming to Korea and was pretty excited when I heard about it but it took so long that I actually forgot about it and someone had to remind me when it actually opened. 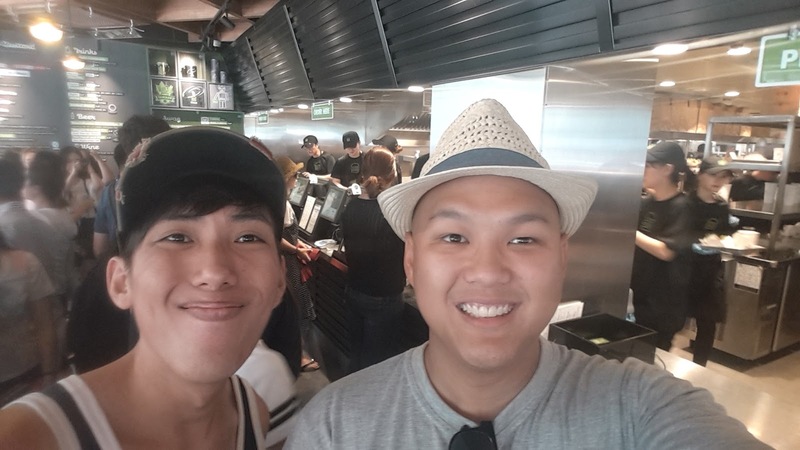 Despite the long queue, it did not take too long for our order to be made and frankly the burgers were really good. 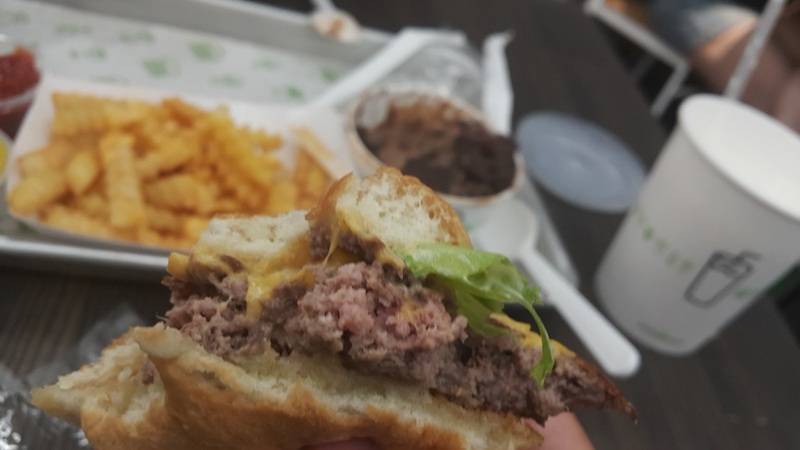 It looks so simple but the flavors really blended well together and the beef was so succulent and soft that it was hard to believe it was a patty. The fries on the other hand were not that good at all, or maybe in my opinion since I grew up with McDonald fries and I like them slim, crispy and sometimes soggy. Thick cut fries are not my thing and I really did not find it appetizing at all. 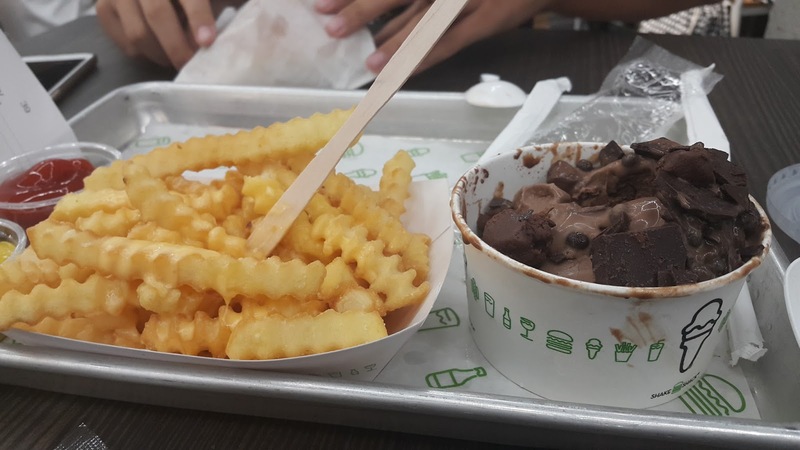 The milkshake tasted normal, as per the ones that are sold almost everywhere but the chocolate dessert was great. It's called concrete and it's actually a type of ice-cream blend with different ingredients. It's really sweet though so beware! Decided not to sit too long as there were many people waiting for seats so we finished our meal and got on with the day. 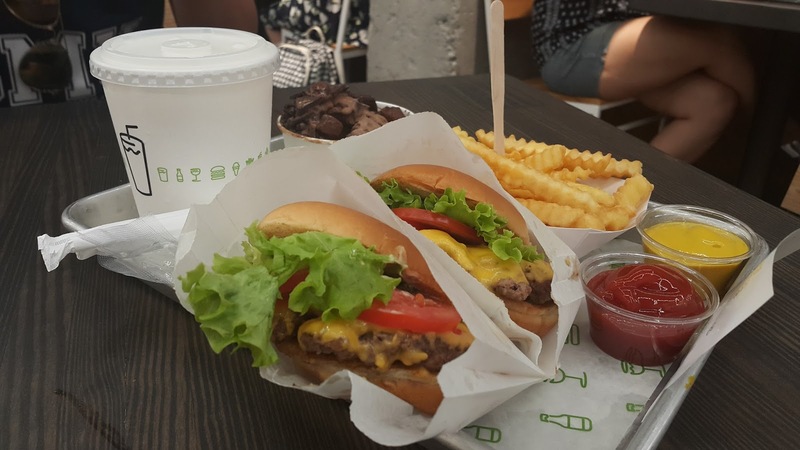 It's definitely worth a visit if you've always heard about it and wanted to try Shake Shack once in your life, and then whether it's worth going back a second time... it's up to you after you try it!